Additional research provided by Alex Coffin. The John Motley Morehead Foundation was established by businessman, industrial scientist, and philanthropist John Motley Morehead III in 1945 to sustain and enhance the excellence of the University of North Carolina at Chapel Hill. The foundation set out to accomplish this through two avenues: the construction of the Morehead Planetarium Building on campus and the creation of the Morehead Scholarship Program. The planetarium, one of the largest and most advanced in the nation at the time of its completion, was given to the university in 1949. Begun in 1951 as the first nonathletic merit scholarship program in the country, the Morehead Scholarship Program was designed to draw gifted student leaders from across the state to UNC. The program employed a unique, intensely competitive selection process that included several levels of interviews designed to discern candidates' qualifications in four distinct areas: academic ability, moral force of character, physical vigor, and the capacity to lead and motivate peers as evidenced by extracurricular achievement. Former UNC track coach and athletic director Robert A. Fetzer was named as the Morehead Program's first executive director. He was followed in 1958 by Roy Armstrong, who had been the university's director of admissions. Mebane M. Pritchett, a Morehead alumnus, became the executive director in 1972 and served until 1987, when he was succeeded by Morehead alumnus Charles E. Lovelace Jr. Initially, only high school seniors from North Carolina, nominated by their school administrations, were eligible to enter the Morehead selection process. In 1954 selected out-of-state schools became eligible to nominate Morehead candidates, and in 1969 the first British Morehead scholars came to Chapel Hill. Women became eligible for the program in 1974. The selection process has continued to expand and grow in response to various academic trends; by the early 2000s, it included direct applications from North Carolina students and nominations from the UNC admissions office and eligible affiliate programs. The Morehead nominee pool also included direct or sponsored applicants from any secondary school or cégep in Canada and any secondary school in the United Kingdom. From its inception, the Morehead Scholarship Program has provided more than 2,600 students with a four-year scholarship to the University of North Carolina at Chapel Hill and, since 1974, opportunities for international travel and internships through the Morehead Summer Enrichment Program. Approximately 50 scholarships are offered each year, resulting in about 200 Morehead scholars on campus at any one time. Morehead scholars have held a wide array of leadership positions both on and off campus. They have served as student body presidents and vice presidents; editors-in-chief of the UNCstudent newspaper, the Daily Tar Heel; student attorney generals; chairs and vice chairs of the undergraduate honor court; chief justices of the student supreme court; student congress speakers; Phi Beta Kappa presidents; presidents of the Black Student Movement, Asian Students Association, and Carolina Hispanic Association; and presidents of the Campus Y, Carolina Union, APPLES Service-Learning Program, and the Carolina Athletic Association. When they have seen a need or had a special interest that was not represented among existing campus organizations, Morehead scholars have often founded new ones. 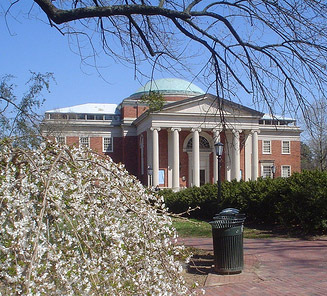 More than 80 campus organizations and publications were founded by Morehead scholars, including campus a cappella groups the Clef Hangers and the Loreleis; campus publications the Cellar Door, the Phoenix, the Blue & White, and Bo UNC e; athletic programs such as women's varsity lacrosse and women's varsity crew; and the UNC Dance Marathon, the university's largest student-run fund-raiser. Among the honors received by Morehead scholars are Chancellor's Awards for distinguished campus service and departmental awards for best honors theses. As of 2006, 21 of UNC's 24 Rhodes scholarship recipients were Morehead scholars. Moreheads are often recipients of other major awards, such as Luce, Truman, Marshall, and Fulbright scholarships as well as Mellon, Ford Foundation, Woodrow Wilson, National Science Foundation, and MacArthur fellowships. Approximately three-quarters of all Morehead alumni have advanced degrees from leading universities such as Columbia, Duke, Harvard, Princeton, Stanford, UNC, the University of Virginia, Vanderbilt, Yale, and Oxford University. A few of the many distinguished Morehead alumni and their accomplishments include Anthony Harrington, U.S. ambassador to Brazil; Taylor Branch, author of the Pulitzer Prize-winning Parting the Waters: America in the King Years, 1954-1963 (1988) and Pillar of Fire: America in the King Years, 1963-65 (1998); U.S. congressmen David Price, Jim Cooper, and Mike McIntyre; Sallie Krawcheck, chairwoman and CEO of Citicorp from 2002-2008; record-setting track-and-field athlete Tony Waldrop; Jim Exum, chief justice of the Supreme Court of North Carolina; Francis Collins, director of the Human Genome Project; Ann Livermore, president of Hewlett-Packard Services (2004-2011); Alan Murray, former Washington Bureau Chief of CNBC; and Bill Swofford, 1960s pop singer known as "Oliver," whose songs "Good Morning, Starshine" and "Jean" became top-three Billboard hits. John Motley Morehead Foundation, Annual Report (1996). Richard Moll, The Public Ivys (1985). William D. Snider, Light on the Hill (1992). Morehead Planetarium, University of North Carolina at Chapel Hill, 2009. Image courtesy of Flickr user Michael Femia. Available from http://www.flickr.com/photos/bunkosquad/3421194614/ (accessed July 24, 2012). I am attempting to make contact with someone who may be interested in a yard-sale discovery. I have an old Mark Cross briefcase with gold embossed lettering indicating it belonged to John Motley Morehead (or so I believe). I would be very interested in finding out where and when it originated. It looks like it may have been a gift or something. Please contact me with any information you may have. Thank you for visiting NCpedia and taking time to share your find. That sounds very interesting! I hope this helps and good luck with your search!